90mm dia. 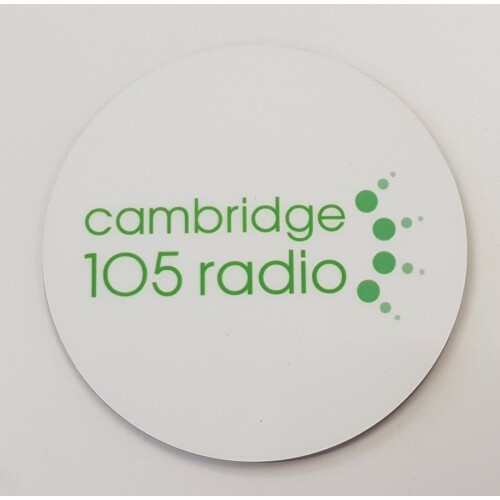 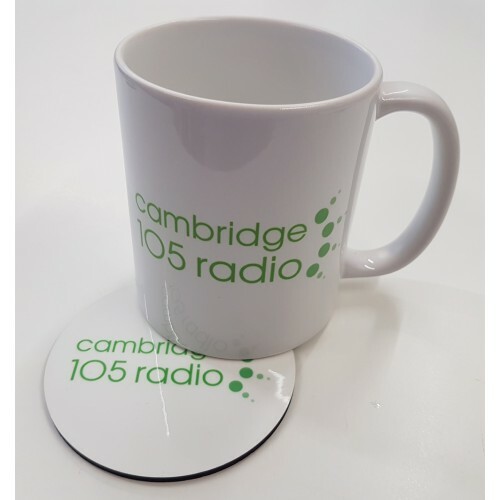 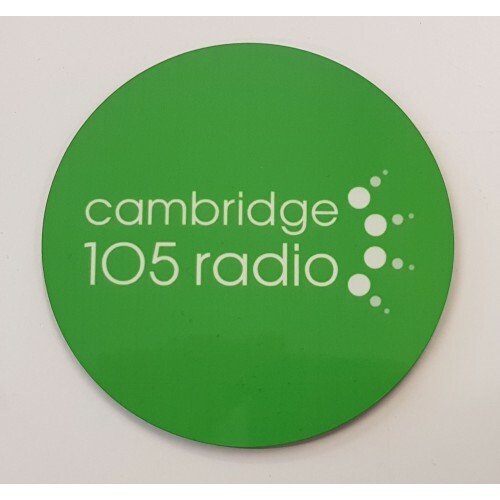 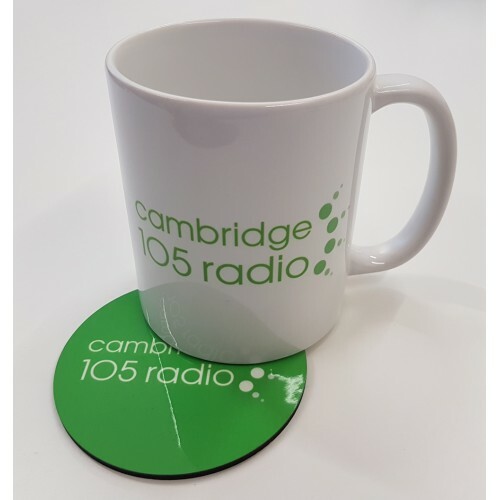 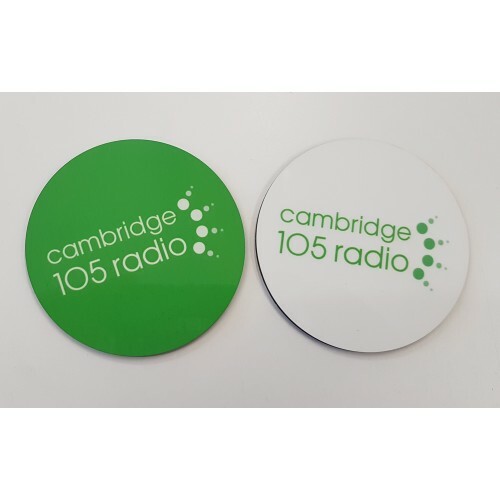 solid coaster in your choice of the white or green or green on white version of the Cambridge 105 Radio logo. 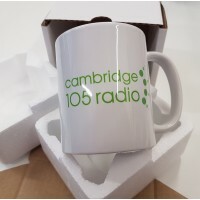 Shown with mug for reference, mug not included.